Add a little magic to your jacket, purse, hat or whatever you fancy! Pin is 1.25" high by 1.5456 inches wide. Soft enamel with rubber backer. Illustrated and designed in Los Angeles and produced in a limited edition of 100. They are so beautiful! Thank you so much for the extra pin, I love them! 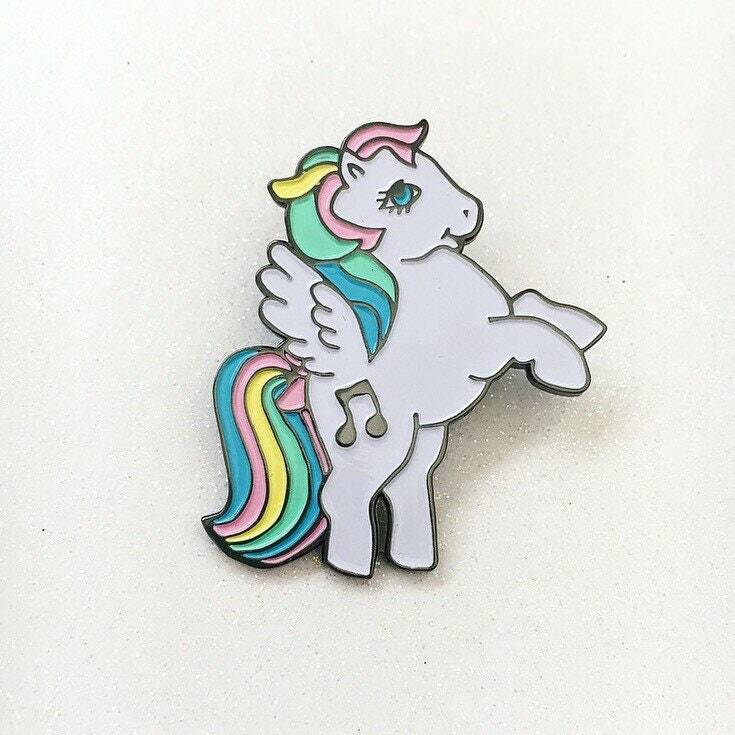 I’m so impressed by Emma, she made my day soooo Brite by sending the extra pin and stickers and candy.. my pony pins are sooooo cute and I absolutely love them.. the best pony pins out there!!! Thanks Emma, I love ur shop and will be ordering again!